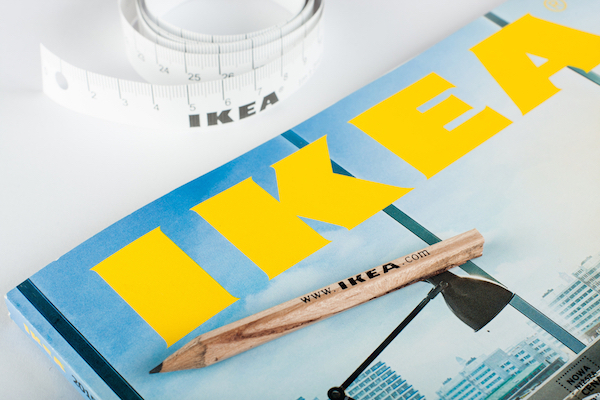 A great deal of sentiment is placed on IKEA’s products. Not only might its classics be worth thousands, but each item is also thoughtfully named after a Scandinavian child. With these insights in mind, it’s apparent that the IKEA brand name would hold some meaning to it. There’s also a reason why it’s stylized in all caps, as interior design blog Apartment Therapy has uncovered. Ingvar Kamprad, of course, is the name of the Swedish giant’s late founder, who passed on this year at the age of 91. Kamprad built his empire as a 17-year-old and accidentally invented the concept of flatpack furniture, bringing forth some of the brand’s most iconic items yet. The ‘E’ stands for Elmtaryd, the farm that Kamprad had grown up in, and the ‘A’ is an acronym for Agunnaryd, the founder’s home village. The fact that the full acronym speaks of Kamprad’s roots makes it the perfect name for a brand that’s focused on creating solutions for homes of all types.